Call Sudbury Handyman Services today for all your home maintenance service needs. We handle home maintenance, so you can spend time on what matters. Busy schedules can make both major and minor home repairs hard to get to. Now your growing "To Do" list just looks overwhelming and unmanageable. Where do you start? One call to Sudbury Handyman Services solves all your home repair headaches. Professional, safe, reliable and on-time, every time, that's our guarantee. Sudbury Handyman Services completes all major and minor home repairs in a quick, efficient manner, making your "To Do" list manageable allowing you to spend your time doing what you enjoy most. High quality, consistent work means every home repair, installation, maintenance or odd job is quickly checked off your list so you can officially get it off your mind. Whether work is residential, commercial or light industrial, one call does it all. Get all the home repair help you need with the reliable professional handyman services that are trusted by people across the GSA. 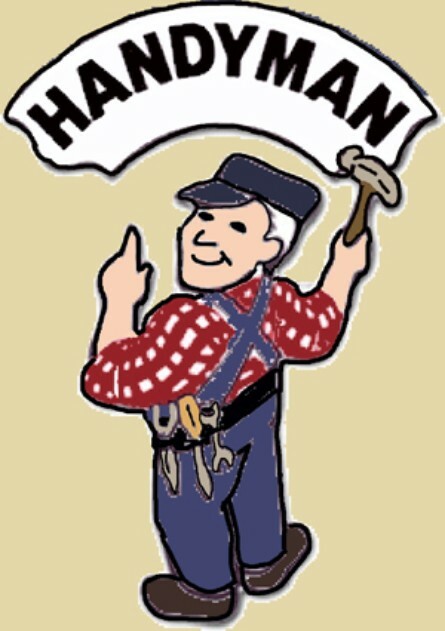 Let Sudbury Handyman Services help you today! Proper installation ensures the product lasts longer. That makes it important to find professional handyman services you trust. Not just any handyman for hire offers dependable, preferred installers that handle a variety of products. From countertop installation to installing ceramic tile and decks, manufacturers trust Sudbury Handyman Services home repair contractors to make your interior and exterior product installations easy. A Variety of Installs in Just One Call Exterior & Interior Installations. Interior or exterior, our professional handyman can install just about any product. From beautiful finishing touches created by installing crown molding or wainscoting, to making kitchens more functional through cabinet and countertop installation. Assembling backyard swing sets or keeping your roof and home protected from water damage through proper rain gutter installation, these are all tasks Sudbury Handyman Services can finish with one call. We know you want professionals handling each installation. We also know you don't have the time to research, call and manage a different specialist or handyman for hire to handle each major home improvement. That's why one call to Sudbury Handyman Services gets you the professionals, the tools and the quality work you want without the hassle. We'll manage and coordinate all your installations with repairs and regular maintenance for quality, professional handyman services that handle it all. Done on time, safely and right the first time . That's our guarantee. Over the last 15 years, companies throughout the home improvement industry have trusted Sudbury Handyman Services home repair contractors for quality work. Join those manufacturers and many Greater Sudbury Area families who have chosen Sudbury Handyman Services as a preferred installer. Looking for a home improvement and repair service you can trust? Only Sudbury Handyman Services offers Total Home Protection — ensuring a worry-free home remodeling experience every time. Under this unique program, we guarantee that your project is covered our promise that all our handymen are screened, bonded, and have a minimum of 15 years of trade experience. You'll receive a written guarantee on all Sudbury Handyman Services work, and since we charge by the job or by the hour, there's never an unpleasant surprise with our billing, it's always your choice. make sure you keep your project's material receipts in the event that there is a materials' failure. Plumbing, and Electrical project guarantees vary by location - you will be notified in writing of any project that is not covered by our standard guarantee. One phone call to Sudbury Handyman Services hires you a professional who completes your entire "To Do" list. Every task—whether major or minor home repair—is prioritized according to your needs. With Sudbury Handyman Services you'll know what to expect before we arrive and our professional home repair contractors don't waste your time. Sudbury Handyman Services professionals arrive ready to work and stocked with every tool they'll need. Every "To Do" list is broken down into efficiently managed tasks handled by experienced, professional handyman help we've hired and personally trained. Every repair contractor is also trained for your safety and theirs. That means you'll receive consistently high quality work from safe, reliable, professional handymen. As Sudbury's most trusted handyman Service, we're the best and friendliest of home repair contractors citywide. From the beginning we've consistently hired experienced, reliable employees whose skills are further refined through technical and customer service training. Our dedication in hiring and retaining the very best home maintenance and repair technicians is why we are able to deliver a 100% customer satisfaction rating. Sudbury Handyman Services understands that customer satisfaction starts with arriving at your home on time. You won't have to interrupt your day, wasting valuable time waiting on Sudbury Handyman Services. Our on-time record is second to none, and we arrive ready to work. Your Sudbury Handyman services technician will apply the same attention to detail and quality workmanship to every job, large or small. For professional handyman services, contact Sudbury Handyman Services today! We are your resource for building, home repairs, maintenance, remodeling and restorations . Serving the Greater Sudbury Area, Ontario, Canada. We have the tools and skills to save you money. Sudbury Handyman Services, your experienced, local, professional handyman, offers quality work at affordable rates for all of your repairs ( TO DO LIST )and home improvement needs. This website will provide references, testimonials, descriptions and pictures of past works. Each of our skilled handymen are carefully screened to ensure they meet our standards of excellence and quality workmanship. Ready to cross off a home repair to-do or two? Contact us today to schedule service. The Original Home Improvement Specialists. At Sudbury Handyman Services, our mission is the same as yours — making your home a great place to live. As Sudbury's original — and leading — home improvement specialists, you can rest easy knowing your home repair or remodeling job is in experienced hands. We're not just proud of our workmanship — we guarantee it. Sudbury Handyman Services specializes in small to medium home improvements, repairs and remodeling jobs. From paint to plaster. Drywall to decks. Fences to faucets. We get the things you want done — DONE! 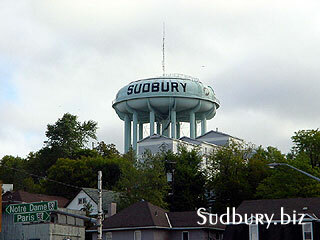 You'll notice the difference in Sudbury Handyman Services from the first time you call. You'll always talk to a person — a friendly customer service rep who is ready to answer your questions and schedule your estimate or project. We'll match your project with the skills of a talented handyman who has at least 15 years of professional experience. All of our handymen are carefully screened for their qualifications. They take pride in their work — and it shows. When your job is finished, a customer service rep will follow up to make sure you're happy with the work.